Seeing a birthing woman lying in a hospital bed, IV line snaking down to her arm, is so common today that nobody really thinks to question whether IV fluids are actually needed during birth. Nobody questions premise that a laboring woman is somehow sick – she's a “patient” – so there's a natural assumption that she needs all of the medical technology hooked up to her. Is a woman giving birth sick somehow? Is she a patient in need of fluids, monitors, and “treatment?” Truthfully, she is not – she is a strong, birthing woman. I could write volumes on that. But today lets focus on why you generally don't need an IV during labor, how having an IV may actually be harmful, and how food and drink stack up against the intravenous fluid option. 2 Could an IV in Labor Actually be Dangerous? 3 Are There Benefits to Food and Drink? If a woman requires emergency surgery with general anesthesia, she may aspirate the contents of her stomach and die. Ergo, no food or drink by mouth (in the medical world, this is known as NPO or non per os). As we saw with fetal monitoring, however, the foundational hypothesis is flawed. Studies show that women do not aspirate, even when they have food in their stomachs. Depriving women of food and drink during birthing never caught on in some countries; those countries do not have women dying from the aspiration of stomach contents during cesarean surgery1. This is partly because anesthesia technique is better, and general anesthesia is, overall, safer for patients today than it was in the past (this is true for any surgical procedure, not just cesarean surgery). The prohibition on food and drink during labor was to try and remove a risk that is virtually non-existent today. It's also important to note that even total fasting doesn't guarantee an empty stomach for surgery2. The purpose of IV fluids is partly to make sure that women are hydrated during birth (because it's hard to deny that birth is an event that requires some level of fluid and possibly nourishment). Of course the other purpose is to deliver synthetic oxytocin or sometimes narcotic pain relief, which I have discussed in Will the Real Oxytocin Please Stand Up and The Epidural and Other Pain Medications. Could an IV in Labor Actually be Dangerous? As I've mentioned above, we've covered quite a few interventions that are actually harmful – yet the medical establishment is supposed to be based upon “first, do no harm.” The evidence is actually being examined – but it's not be put into practice (or more accurately, these dangerous interventions are not being pulled out of practice). I'm not exactly sure when mainstream obstetrics is going to stand up and take notice, but we as women should know the evidence – and stand up for our babies. Back to IV lines. The physical line and puncture from an IV needle are painful, yes, and we're going to discuss that later in this article. But the big issue with an IV line is not the discomfort from the actual line – it's the fluids being pushed through the IV. Not only are they not helpful, they're dangerous. The first danger with pushing fluids is over-hydration. You can get too much fluid in your body. Sure, your nurse can monitor the amount of fluid you're getting, but the body has no “built in” warning for too much fluid coming in. When you don't have enough fluid, you feel thirsty. There is no opposite warning system. To be fair, getting overly-hydrated can happen just by drinking, too, so you should never force excess fluids (during labor, pregnancy, or otherwise). This – that osmotic pressure cannot be maintained leads to extra fluid in the lungs is thought to be a possible reason why babies born by cesarean surgery have more trouble breathing. Moms are given a lot of IV fluids before and during the surgery. The balance of osmotic pressure is critical throughout much of pregnancy (I discuss this in depth in in my Great Pregnancy class), so it doesn't surprise me that it's also critical during birth. Your body is meant to work in a specific way! While we're on the topic of too much fluid, it's important to mention that the effects don't stop with just birthing – extra fluids may also undermine breastfeeding for mama-baby. Extra fluids aren't just loaded into you, they also cross the placenta and load up your baby, causing your baby's weight to be higher than it would have been without the fluid load. That fluid generally mobilizes quickly (as yours tends to do postpartum) – in fact, by around 24 hours after birth8. This causes problems because it looks like your baby has lost more weight than he or she actually has, and it can undermine breastfeeding when care providers are insisting that supplementation is necessary. The current recommendation is to do a weight check at 24 hours old and use that as a baseline for judging weight gain in the breastfeeding newborn8. Another issue is the fluids causing excess swelling in the breast tissue. This exacerbates engorgement, which is pretty uncomfortable… but more importantly, it may make it hard for baby to get a good latch9. That's frustrating for both of you! Electrolyte-free or salt-free fluids have been linked to transient tachypnea (that means episodes of rapid breathing) and newborn seizures. This type of fluid has been linked to water intoxication, seizures, and coma in mothers. Glucose or lactate solutions can cause diabetic blood sugar levels in mama and in baby, and babies can have a hypoglycemic reaction after birth. Essentially that means a lot of extra monitoring for baby, along with the heel pricks and separation that come from that. It's a big interruption to bonding! Are There Benefits to Food and Drink? We know there there are some dangers with IV fluids – but this is a showdown, so lets look at food and drink more closely. We've already established that having food or drink in labor does not make aspiration more likely in the event that general anesthesia is needed for cesarean surgery. It's also true that vomiting is not more likely to happen if a mama has eaten/had a drink during labor. Sometimes women do throw up during labor, but food/drink doesn't seem to play a role (many women feel better after it happens – I did during my second baby's birth! His birth is the only one I had that with). We know that women who have oral intake during labor have higher blood sugar, which is a good thing! As I explain in my video mini-series on how to handle labor & birth naturally, getting some calories and energy (higher blood sugar) means you can work with your baby and make it through this athletic event that is your baby's birthday! One thing that having food or drink by mouth has not shown to boost is the overall rate of vaginal birth – so it's not likely that having an IV or not, or oral drink/food or not is going to play in the likelihood of a cesarean. Many mamas don't want to eat during their birthing time (though most mamas are going to want to drink something) – but I believe that it's better to have the option than to have it forbidden. And we do see positive effects on blood sugar levels for mamas and babies when things are “allowed” by mouth. Listen to your body when it comes to food and drink! Overall studies have found that IV's in labor do bring some risks, but the risk doesn't seem to be overwhelming. Of course, I have to point out that the frequent (read: almost universal) use of IV's in labor mean that we perceive a woman hooked up to a fluid drip as “normal” – when in fact that is not at all a “normal” baseline for healthy birthing. Sadly, to topple the reign of medical technology in the labor room, we have to prove that true normal is superior (even though the medical technology didn't have to prove itself superior before it just moved in and upstaged natural design…). Cochrane asks the right question in their reivew: what is the justification for this intervention… for denying women nourishment? …the real question I want to leave you with is: are you sick? But one thing I always notice is that hospital birth pics almost always seem to have mamas so tethered. Not just to monitors, but to blood pressure cuffs, and IV poles. There are so many lines coming off of a birthing woman you'd think she was sick or something! There's this feeling that something is “wrong” and needs to be monitored constantly. There is something psychological going on there! Studies do show that IV lines cause stress responses in birthing women – and that is not what we want to happen during birth. It interrupts the whole hormonal flow of labor and birth. Plus there's the pain I mentioned earlier from the line being there – from where it's inserted, and even the cold/cool fluids themselves can be really uncomfortable. Why do we just let ourselves be “hooked up” to some machine – almost like an umbilical cord to the hospital (an idea Robbie-Davis Floyd explores in her book Birth as an American Rite of Passage)? Birth isn't a sickness thing. It's not a surgery thing. I'll leave you with this thought from Optimal Care in Childbirth by Goer and Romano. They have done an excellent job of reviewing and analyzing the evidence on many issues in birth – so if you're interested in the research, their book is a gold mine! A more appropriate model for childbirth than the presurgical analogy is a prolonged, demanding athletic event that poses a small risk of serious injury. A sports medicine physician would be horrified at the thought of depriving an athlete of food and fluids in such a case. And as for risk, until such time as we require “nothing by mouth” and “just in case” IVs for downhill skiers, football players, and, for that matter, drivers entering the freeway, we should not require them of laboring women13. Want more on preparing for a great natural birth – and working with your care provider to make a safe, low-intervention birth happen? 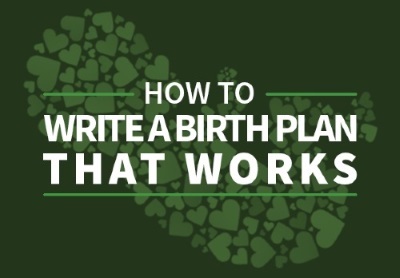 Check out my birth plan kit! 2. Carp H, Jayaram A, Stoll M. Ultrasound examination of the stomach contents of parturients. Anesth Analg 1992;74(5):683-7. 3. Kempen PM, Tick RC. Hemodilution, regional block and cesarean section. Reg Anesth 1990;15(1S):9. 4. Carvalho JC, Mathias RS, Senra WG, et al. Hemoglobin concentration variation and blood volume expansion during epidual anesthesia for cesarean section. Reg Anesth 1991;16(1S):73. 5. Cheek TG, Samuels P, Miller F, et al. Normal saline I.V. fluid load decreases uterine activity in active labour. Br J Anaesth 1996;77(5):632-5. 8. Noel-Weiss J, Woodend AK, Peterson WE, Gibb W, Groll DL. An observational study of associations among maternal fluids during parturition, neonatal output, and breastfed newborn weight loss. Int Breastfeed J. 2011;6:9. doi: 10.1186/1746-4358-6-9. 9. Kujawa-Myles S, Noel-Weiss J, Dunn S, Peterson WE, Cotterman KJ. Maternal intravenous fluids and postpartum breast changes: a pilot observational study. International Breastfeeding Journal. 2015;10:18. doi:10.1186/s13006-015-0043-8. 10. Parsons M, Bidewell J, Griffiths R. A comparative study of the effect of food consumption on labour and birth outcomes in Australia. Midwifery 2007;23(2):131-8. 12. Enkin M, Keirse MJNC, Neilson J, et al. A Guide to Effective Care in Pregnancy and Childbirth. 3rd ed. Oxford: Oxford University Press; 2000.